Adding a bobber seat, also known as a solo seat, to your motorcycle can make a drastic difference in not only the bike's appearance, but also in the comfort of the ride. This is especially true when adding the it to a motorcycle with a rigid frame. One of the major appeals of building a custom bobber motorcycle is the ability to make it unique and one of a kind, especially where the bobber seat is concerned. The odds that two custom built bobber motorcycles are going to end up looking the same is low, which is not true for the mass made stock bikes. The bobber seat alone gives the builder of the motorcycle many opportunities to make their bike stand out and express their individual style. There are many bobber seat designs and colors for you to choose from. Some of these styles include the classic reminiscent of those found on older Harley-Davidson motorcycles and other older style motorcycles that were produced in India. The bobber style seat works quite well when building a true bobber, like those built by the returning soldiers after WWII. A bobber saddle emphasizes the bare bones character of a bobber. They compliment a bobbers abbreviated rear fender and fender free front wheel. Like custom fenders, motorcycle seats have a variety of shapes to fit any style and size of chopper. Bobber motorcycle seats have to fit the width of the frame, as well as have the correct slope going up to the back fender. Also, many bikes have stretched tanks plus, different width back fenders, and fender stand arch shapes. This may means that a stock bobber chopper seat will not fit these type of bikes. Fortunately, there are many variations to seats so you can find the perfect one to fit your bike. 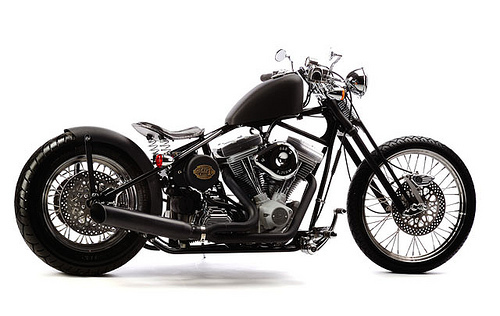 If you are unable to find a pre-made bobber style seat to suit you, there is the custom option. You can have the shape as well as the design made just for you. You can have just about anything you want put on it, from animal print to a spider. The first thing you are going to want to do when installing bobber motorcycle seat it to make sure you have all the parts you will need. This includes the motorcycle seat itself, the seat or pivot mount, two springs, and the mounts for the springs. Spring mounts can either be bought ready for welding or fabricated.